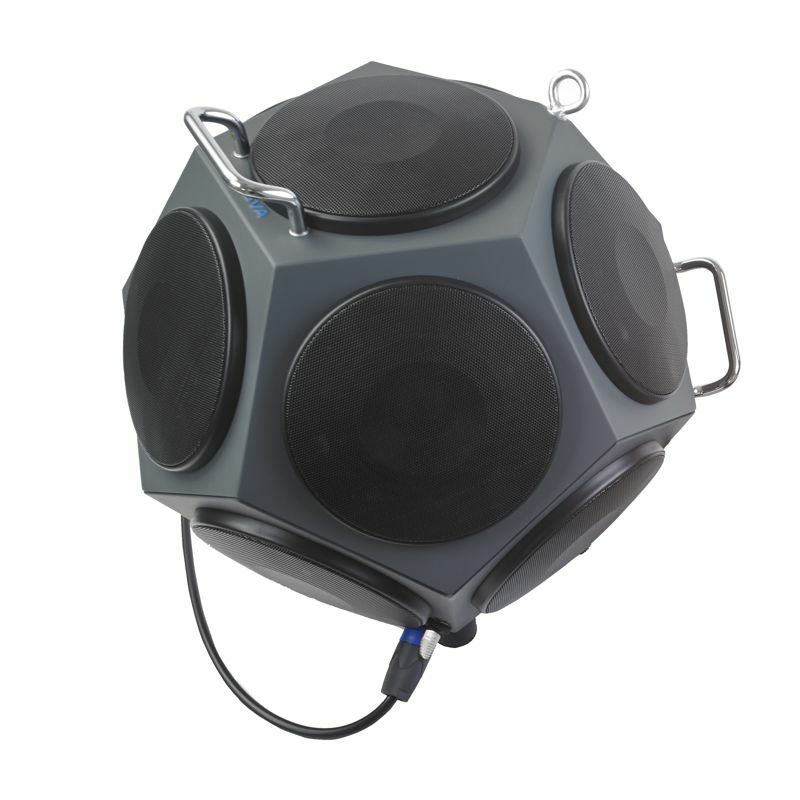 The BP012 has 12 loudspeakers mounted on a dodecahedral housing. 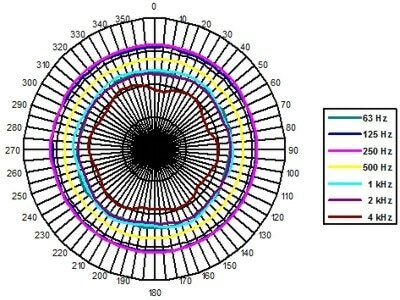 This ensures a complete omni-directional radiation diagram; sound is therefore radiated in a spherical distribution, as it is required by ISO 16283, ISO 140, ISO 10140, ISO 3382-1 and ISO 3382-2 standards. 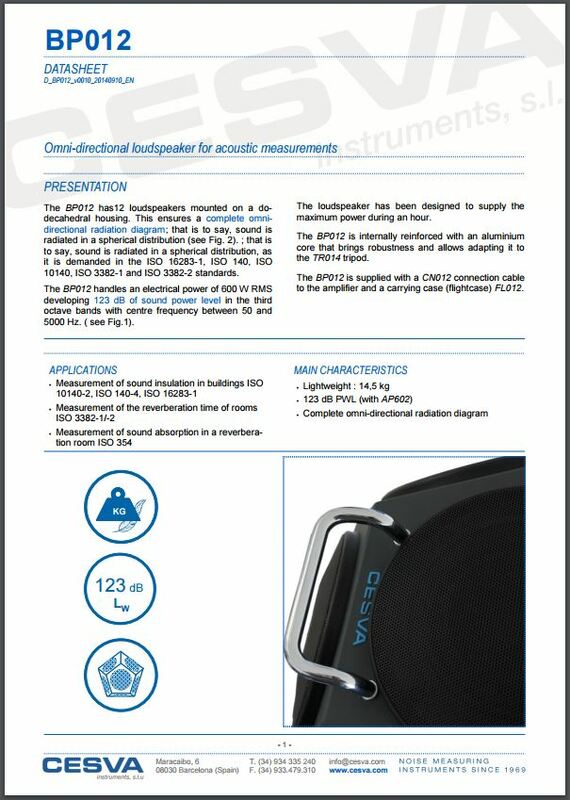 The BP012 handles an electrical power of 600 W RMS developing 123 dB of sound power level in the 1/3-octave bands with center frequency between 50 and 5000 Hz. 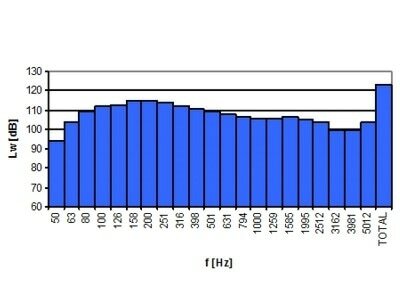 The loudspeaker has been designed to supply the maximum power during an hour. The BP012 is internally reinforced with an aluminum core that brings robustness and allows adapting it to the TR014 tripod. 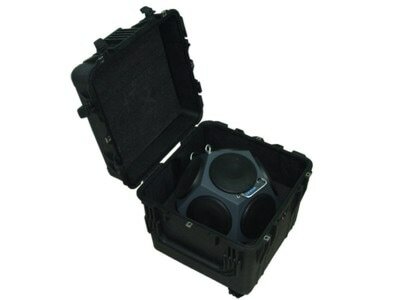 The BP012 is supplied with a CN012 connection cable to the amplifier and a carrying case (flight-case) FL012. 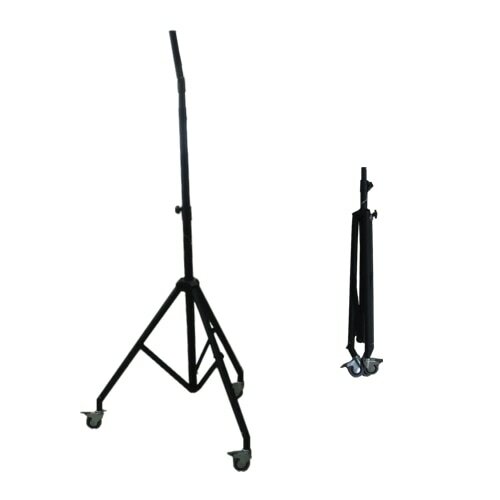 Tripod with wheels for the model BP012.